Inspired by precious 1940s drop earrings with a hint of Edwardian charm. Taking inspiration from precious diamond and pearl vintage jewellery from the 1940s with a hint of intricate Edwardian charm, these delicate silver tone drop earrings are simple and chic. Featuring an Austrian crystal adorned scroll design and a light ivory faux pearl drop, they look fabulous for all occasions. Brides who prefer petite wedding earrings with antique style will adore these. For classic vintage glamour, coordinate with Heiress of Pearl Necklace and a bejewelled hair accessory. Easy to mistake for precious gems, these simple drop earrings are timeless and are sure to spend very little time in your jewellery box. 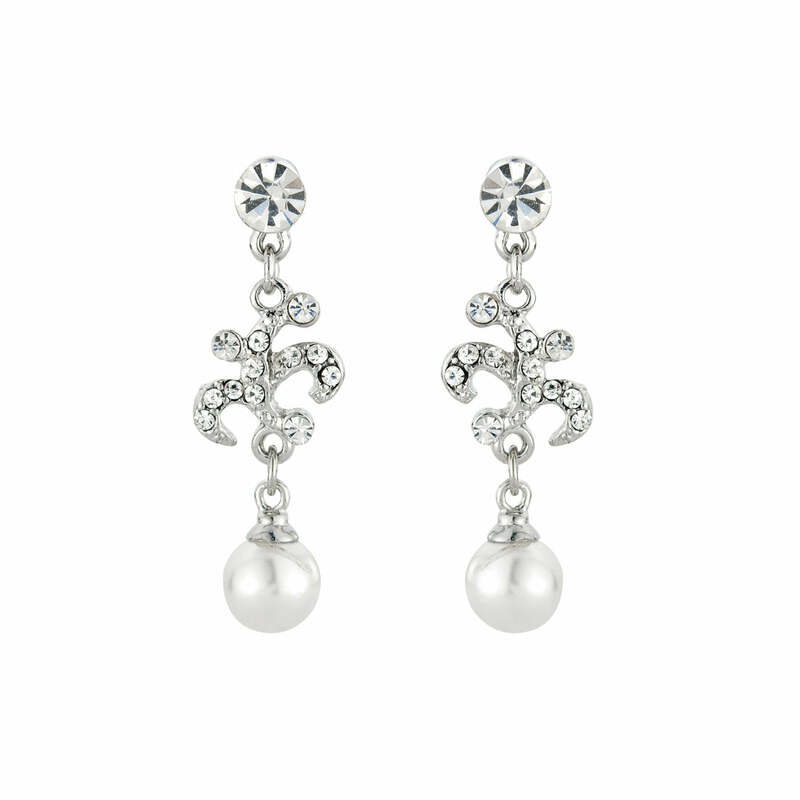 These earrings are absolutely stunning – so sparkley but not OTT, and the pearls are a gorgeous, classy touch. I can't wait to wear then on my wedding day this summer!